On Saturday, April 5, 2014 we were pleased to host this book reading and signing by National Book Award finalist and Guggenheim Fellow Maxim D. Shrayer, on the closing day of our 2013-14 exhibition, Proposals of Belonging. 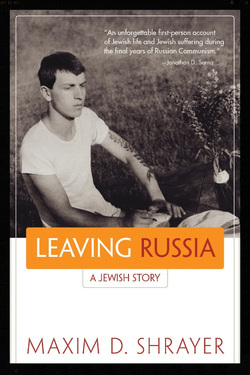 Maxim read from his new book 'Leaving Russia: a Jewish Story', a memoir of coming of age and struggling to leave the USSR. Shrayer chronicles the triumphs and humiliations of a Soviet childhood and expresses the dreams and fears of a Jewish family that never gave up its hopes for a better life. Narrated in the tradition of Tolstoy's confessional trilogy and Nabokov's autobiography, this is a searing account of the KGB's persecution of refuseniks, a poet's rebellion against totalitarian culture, and Soviet fantasies of the West during the Cold War. Shrayer's remembrances are set against a rich backdrop of politics and ethnic conflict on the brink of the Soviet empire's collapse. This presentation was set in the complementary context of the Proposals of Belonging exhibition, in which artists Jenna Buckingham (Philadelphia) and Kaori Homma (London/Japan) explore experiences of being uprooted from home, and processes of finding and inventing new places, new homes, for ourselves in the world. Join us for a last look at these accomplished bodies of work and for Shrayer's moving story with its generous doses of humor and tenderness. Maxim D. Shrayer was born in Moscow in 1967 to a Jewish-Russian family. With his parents, he spent almost nine years as a refusenik and immigrated to the United States in 1987, after spending a summer in Austria and Italy. Shrayer has studied at Moscow University, Brown, Rutgers, and Yale, where he received his PhD in 1995. He is currently Professor of Russian, English, and Jewish Studies at Boston College, where he co-founded the Jewish Studies Program in 2005. Shrayer has published more than ten books of nonfiction, biography and criticism, fiction, translations, and poetry. Among Shrayer's books are the acclaimed critical studies The World of Nabokov's Stories, Russian Poet/Soviet Jew, I SAW IT. He has edited and co-translated from Russian three books of fiction by his father, writer David Shrayer-Petrov. For additional information on Shrayer's academic work, please visit his Boston College site. 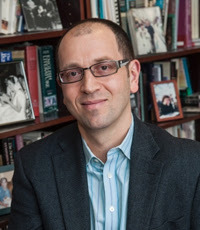 Shrayer has been the recipient of a number of fellowships, including those from the National Endowment for the Humanities, the Rockefeller Foundation, and the Bogliasco Foundation. He won a 2007 National Jewish Book Award for his two-volume Anthology of Jewish-Russian Literature. In 2012, Shrayer received a Guggenheim Fellowship for his work on poets as witnesses to the Shoah. A bilingual author and translator, Shrayer is the author of the memoirs Waiting for America: A Story of Emigration and Leaving Russia: A Jewish Story and a collection of stories, Yom Kippur in Amsterdam. For a complete list of available publications, please visit his Amazon page, and for information on his publications in Russian, visit his Russian-language page. Shrayer enjoys reading from his literary works and also lectures for the general public on topics ranging from the Holocaust in the USSR to the legacy of the refusenik movement. For more information, please contact him. Shrayer lives in Brookline, Massachusetts, with his wife, Dr. Karen E. Lasser, and their daughters, Mira Isabella and Tatiana Rebecca.